Tschüss. It rhymes with juice. I’m sorry to say that we’ve all been misinformed by The Sound of Music, and not just about family dynamics and fantastical governesses. If you’re like me, you thought you learned at least one German word from Rodgers & Hammerstein’s famed musical: Auf Wiedersehen — goodbye. Newsflash: Nobody says that word. Nobody. Greeting people is easy — folks just say hallo — but the common way of saying goodbye is the much more mysterious tschüs(s). As it turns out, there are a million ways to bid farewell in German, most of them regional. Tschüss is interesting for two reasons: it’s extremely widespread in its use, and it has (gasp!) non-Germanic linguistic roots. Tschüss's origins are in northern Germany, but it is commonplace just about everywhere as long as the setting is not too formal. I’ve heard bankers and bakers use it; kids and old people and sassy teens, too. It has morphed into other forms like tschüssikowsky (old slang that’s very uncool now) and tschö, but for each derivation, there is somebody who finds it disgraceful. (Think “toodles” in English.) Best to stick with the classic tschüss. Google Translate offers cheerio as one translation of the word, but its Latin roots prove otherwise. Word nerds, prepare to have your minds blown: Try saying adios a couple of times really fast. Give adieu and maybe adeus a try, too, while you’re at it. Notice any similarities to our new friend tschüss? If so, you’d be right — tschüss is a corruption from the Romance languages' “go with God” — à + Dieu, a + Dios, a + Deus, and so forth. 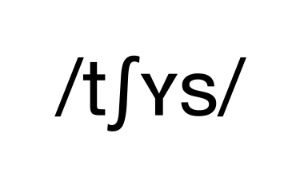 In a language where it’s not uncommon for words have 15 or more letters, tschüss is a monosyllabic breath of fresh air and an outlier both in its roots and brevity. It’s nothing I learned from school, movies, music, or Duolingo’s first dozen lessons for that matter, but it’s a big part of the verbal landscape here. Give it a whirl instead of ciao or cheers next time you're feeling fancy, or start a conversation with German speakers just so you can tschüss them afterwards. You'll get mad props for avoiding the auf Wiedersehen pitfall and sound, if not like a local, at least like you know what you're doing.